Analysis: Williams did not play for an NFL team during the 2018 regular season after having served in a depth role with the Cardinals during the previous four years. The 27-year-old will work to show his versatility during the offseason and attempt to earn a backup role in Detroit. Analysis: In his return from a head injury that knocked him out of the Chiefs' preseason opener last Thursday, Williams led the team in rushing versus Atlanta despite averaging just 2.9 yards per carry. Williams' versatility was on display as he battles for a reserve role at running back behind Kareem Hunt and Spencer Ware (knee). Analysis: The exact severity of the issue hasn't been revealed, but Williams has likely gone through the concussion protocol to check if that is in play. Despite appearing in all 16 games last season for the Chiefs, Williams has a less-than-firm-grasp on a 53-man roster spot with Kansas City. An extended absence wouldn't work in his favor, but getting fully healthy is certainly the first priority. Analysis: Williams joins a crowded Kansas City backfield that is headed by Kareem Hunt and at least for now also includes Charcandrick West, Spencer Ware, Damien Williams and Akeem Hunt. The 26-year-old Kerwynn Williams logged a career-high 120 carries for 426 yards and TD to go along with 10 catches for 93 yards in 16 games for the Cardinals in 2017, but in his new context, Williams' path to touches is unclear in the absence of future roster trimming/fellow running back injuries. Williams (quadriceps) is listed as active Sunday at Seattle, Darren Urban of the Cardinals' official site reports. Analysis: In four consecutive starts, Williams garnered 47 percent (133 of 281) of the offensive snaps, averaging 18 touches and 77.8 yards from scrimmage per game. The breakdown of backfield roles hasn't allowed Williams to reach the end zone, though. Instead, D.J. Foster has handled clear passing situations and Elijhaa Penny (hand, groin) is the short-yardage back. Despite the reality of his situation, Williams will seek a breakout performance against the Seahawks' 18th-ranked run defense. Williams (quadriceps/ribs) remained limited at Friday's practice and is listed as questionable for Sunday's game in Seattle, Bob Condotta of The Seattle Times reports. Williams (quad/ribs) was a limited participant in Wednesday's practice, Josh Weinfuss of ESPN.com reports. Williams supplied 51 yards on 16 carries and reeled in two of three passes for 14 yards during Sunday's 23-0 victory against the Giants. Williams (quadriceps) is active for Sunday's game against the Giants, Darren Urban of the Cardinals' official site reports. Analysis: Williams sustained cracked ribs Week 12, but Adrian Peterson's placement on IR with a neck injury allowed the understudy to get another extended crack with the first-team offense. Over the last three games, Williams has settled in as the No. 1 running back, averaging 17.7 carries for 77 yards, but his first touchdown since the regular-season opener awaits. Williams (quadriceps/ribs) is expected to play Sunday against the Giants, Adam Schefter of ESPN reports. Analysis: Williams is questionable on the official injury report and was a limited participant in Friday's practice. If Williams does play, he has a friendly matchup on tap versus a Giants defense that has allowed 117.9 rushing yards per game and six touchdowns on the ground to running backs over the last seven games. 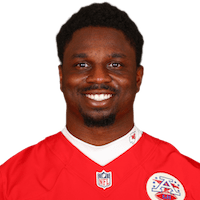 Williams (quadriceps/ribs) is listed as questionable for Sunday's contest against the Giants, Darren Urban of the Cardinals' official site reports. Williams (quadriceps) appears to be practicing Friday, Darren Urban of the Cardinals' official site reports. 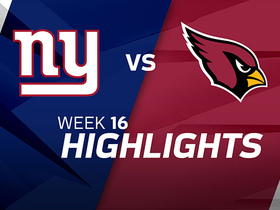 Analysis: With Williams absent from the prior two practices, it appeared the Cardinals might need to lean on Elijhaa Penny as their lead runner for Sunday's game against the Giants. Williams' return to practice Friday at least gives him a shot to play, though it's still quite possible he's no better than a game-time decision. Another update will be available Friday afternoon when the Cardinals release their final injury report. Williams (quadriceps) isn't practicing Wednesday, Darren Urban of the Cardinals' official site reports. Analysis: Williams injured his quad in the second half of Sunday's 20-15 loss to the Redskins, leaving Eliijhaa Penny and D.J. Foster to split backfield work in the fourth quarter. Penny likely would serve as the lead runner if Williams were to miss Sunday's game against the Giants, with Foster potentially also taking on a larger role than usual. Bronson Hill, who was signed Tuesday, might also factor into the equation. 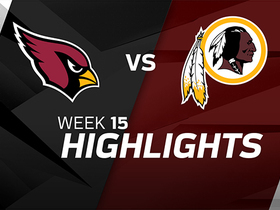 Williams suffered a quad injury during Sunday's 20-15 loss to the Redskins, Darren Urban of the Cardinals' official site reports. Analysis: Williams led the team in carries (17) and rushing yards (61), but he failed to haul in his only target and didn't get any touches in the fourth quarter. Eliijhaa Penny took over as Arizona's lead runner for the final stanza and finished with 10 carries for 45 yards, while passing-down back D.J. Foster caught four of nine targets for 22 yards. Penny would be the obvious beneficiary if Williams were to miss a Week 16 game against the Giants. Williams is expected to retain starting duties at running back for the Cardinals' final three games with Adrian Peterson (neck) headed to injured reserve, Darren Urban of the Cardinals' official site reports. Williams rushed 20 times for 73 yards while catching his only target for 15 yards during Sunday's 12-7 victory over the Titans. Williams is the starting running back for Sunday's game versus the Titans. Analysis: Williams is taking over for Adrian Peterson (neck) for the second week in a row. During his previous chance to lead the Cardinals' backfield last Sunday against the Rams, Williams churned out 97 yards on 16 carries. That said, he's facing Tennessee's third-ranked run defense Week 14, hindering his potential. With Adrian Peterson (neck) ruled out for Sunday's contest against the Titans, Williams is in line to start at running back, Darren Urban of the Cardinals' official site reports. Williams is expected to start at running back Sunday against the Titans with Adrian Peterson (neck) considered likely to miss a second straight game, Josina Anderson of ESPN reports. Williams (ribs) put in a full practice Thursday, Josh Weinfuss of ESPN.com reports. 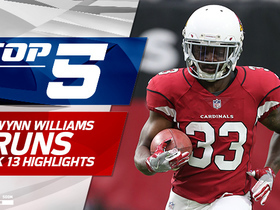 Analysis: Williams seemingly experienced no aggravations to his cracked ribs during the Cardinals' Week 13 loss to the Rams, with the Utah State product filling in admirably for Adrian Peterson (neck) and providing 97 yards on the ground. With Peterson sidelined for the Cardinals' first two practices of this week, Williams looks like he could be on tap for another starting role Sunday against the Titans. The Tennessee defense has done well to stymie the run this season, yielding just 3.5 yards per carry. Williams (ribs) practiced in a limited capacity Wednesday, Darren Urban of the Cardinals' official site reports. Williams carried 16 times for 97 yards during Sunday's 32-16 loss to the Rams. Analysis: With Adrian Peterson (hand) inactive, Williams received his largest workload of the season and averaged an impressive 6.1 yards per carry against a generous Rams run defense. He was the only rusher to receive more than two carries in this one, although he wasn't targeted at all in the passing game. Williams could garner another featured role next week against the Titans if Peterson is unable to play, but it remains to be seen whether or not the veteran intends to suit up. 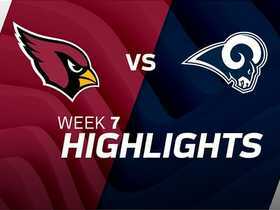 Williams is expected to receive the initial snaps at running back Sunday against the Rams with Adrian Peterson (neck) unavailable, Kyle Odegard of the Cardinals' official site reports. Analysis: If head coach Bruce Arians had his druthers, he'd rely on one running back for the majority of the contest, be it David Johnson (wrist) or Adrian Peterson (neck). With the former on injured reserve and the other inactive, Williams would seem to be the first man up in the backfield. That said, Williams will be playing with cracked ribs, which could result in a trickle-down effect for the remaining RBs (D.J. Foster, Elijhaa Penny and Bronson Hill) on the active roster. Williams is expected to start at running back Sunday against the Rams, with Adrian Peterson (neck) considered a "long shot" to play in the contest, Ian Rapoport of NFL Network reports. Williams (ribs) remained limited at Friday's practice, but he doesn't have a designation on the final injury report for Sunday's game against the Rams, Darren Urban of the Cardinals' official site reports. Williams (ribs) was limited in practice Wednesday, Darren Urban of the Cardinals' official site reports. Analysis: Williams came out of Sunday's win against the Jags with cracked ribs, which was expected to force some type of absence. Instead, he was able to practice Wednesday while Adrian Peterson did not due to a neck injury. In a press conference, head coach Bruce Arians revealed he has no idea who will comprise the backfield Week 13 against the Rams. If Peterson and Williams are held out Sunday, the Cardinals would be relying on a backfield trio of D.J. Foster, Elijhaa Penny and Bronson Hill. 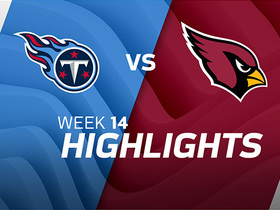 Williams sustained cracked ribs in Sunday's win over the Jaguars and is expected to miss some time, Darren Urban of the Cardinals' official site reports. Williams is questionable to return to Sunday's contest against the Jaguars due to a rib injury, Mike Jurecki of Arizona Sports 98.7 FM reports. Analysis: Before his departure, Williams totaled eight yards on three carries while taking two punt returns for a combined 22 yards. If he doesn't return, D.J. Foster will be the top candidate to receive work behind No. 1 running back Adrian Peterson. Williams carried the ball once for nine yards and added a nine-yard catch during Sunday's 31-21 loss to Houston. Analysis: Williams' 18 total yards was his third-highest total of the season. It's not much now, but Arizona is the market for a new No. 2 behind Adrian Peterson after the release of Andre Ellington. Williams was tied for second among Arizona backs Sunday with nine offensive snaps. D.J. Foster will be his main competition. Williams rushed for six yards on two attempts in Sunday's 20-10 win over the 49ers. 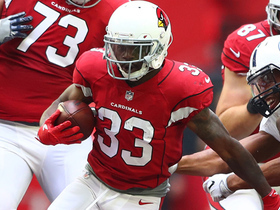 Analysis: Williams was third among Arizona's four backs with just four offensive snaps on Sunday, well behind Adrian Peterson's 59 and Andre Ellington's 14. Williams has just seven touches in the three weeks since Peterson joined the squad and has accounted for just 47 total yards. He's more of a special-teams player than offensive weapon at this point. Arizona Cardinals running back Kerwynn Williams shows patience and bounces outside for 21 yards. 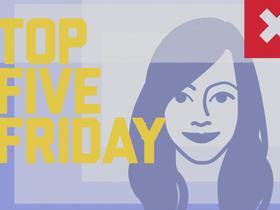 NFL Network's Kay Adams reveals her top 5 Week 15 fantasy sleepers. Arizona Cardinals running back Kerwynn Williams rushes for 18 yards. 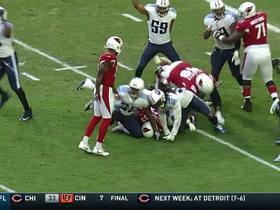 Tennessee Titans defensive end Karl Klug stops the Arizona Cardinals short to force a field goal. Arizona Cardinals running back Kerwynn Williams rushes for 7 yards and a first down. 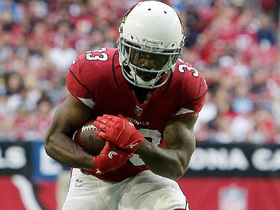 Arizona Cardinals running back Kerwynn Williams led the Cardinals in rushing in Week 13, picking up 97 yards.